My favorite cookie of all time is chocolate chip. It's a classic - what's not to love?! But when I incorporated crisp rice cereal, it really was a nice change. 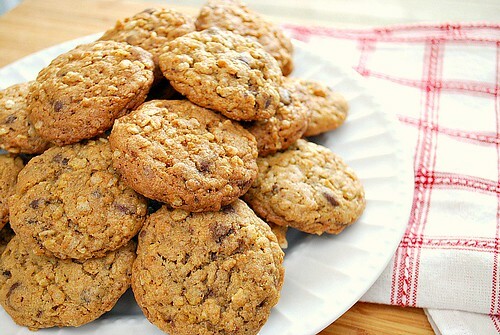 I liked how they almost came out like an oatmeal cookie with a bit more texture. This is a great recipe for those who are gluten free but want an oatmeal cookie texture... especially since gluten free oatmeal can sometimes be hard to come by. With that in mind, you can even omit the chocolate chips and substitute with dried fruit like raisins, cranberries, or other mix ins like nuts! In a large mixing bowl, whisk together flour [+xanthan gum if GF], baking soda, and salt; set aside. In another separate bowl, cream together butter and sugars. Add egg and vanilla, mix well to combine. Begin to gradually fold in flour mixture until just combined; add chocolate chips. Fold in rice crispy cereal, careful not to break up the crispy puffs into the dough. Chill dough in refrigerator for at least 10 minutes. Bake cookies in preheated oven for 10-12 minutes. Transfer cookies to a cooling rack and cool for a few minutes before enjoying. You know, sometimes i just really want a crispy cookie, but not hard. These sound perfect! And a lot of fun too. 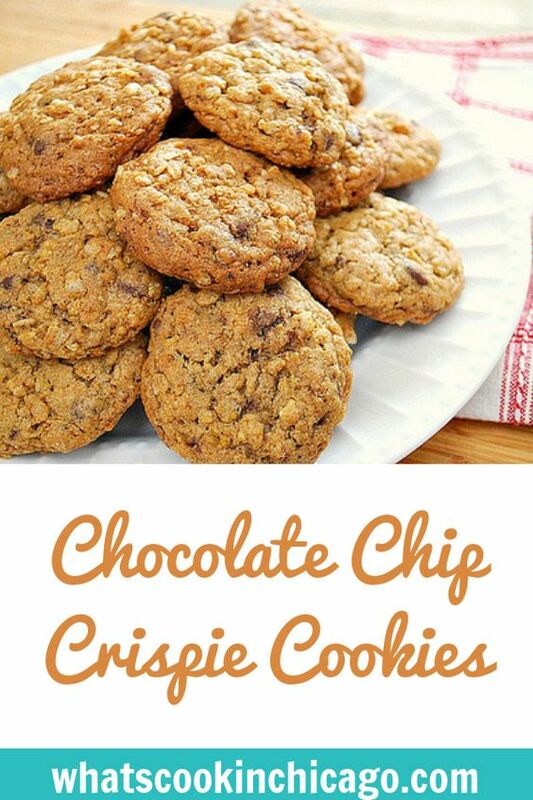 Hands down my favorite thin chocolate chip recipe. Excellent in flavor and texture.I I did not freeze the cookies for an hour before backing i froze them for about 10-15 min . I will definitely make these again. We must try these! All of my favorite treats rolled up into one! Yum! What a unique recipe! Adding crispies to the cookie sounds pretty good! I am adding this to my recipe book now! Thanks! I really want to try these! I have never heard of crispy cookies. These sound yummy. Thanks! We grew up without the regular type cereals. There was always All-bran (for bran muffins) and grape nuts.